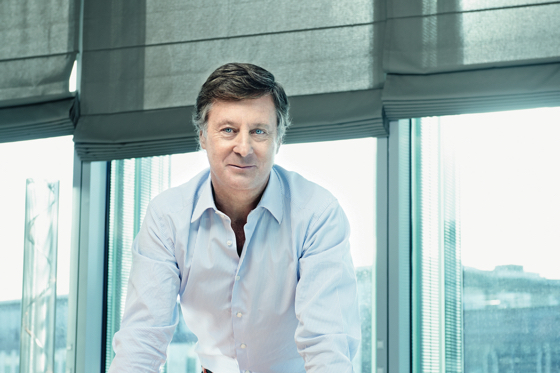 Bazin's new buzzwords: "Agility" and "horizontal"
One-third of AccorHotels’ revenues in the future will not be from traditional room and F&B sales, said its Chairman and CEO Sebastien Bazin, who is continuing to transform the Paris-based company. In an interview with HOTELS, Bazin said his string of acquisitions, the latest being John Paul, and the launch of the new brand Jo&Joe, were not “by accident” but part of his strategic plan to change traditional hotelkeeping, which he said is “under attack” by the digital revolution. Giving an example, he said the hotel industry for the last 50 years had defined its guests as largely those from out of town. Bazin said for Accor, guests would now include those living in the neighborhood and new services would be launched “to ease their quality of life” – an observation he made of start-ups, whose success lies on the premise of removing pain points for clients. This is partly why he is buying 80% of John Paul, whose concierge expertise and system are “probably the two best tools for the liaison with the neighborhood”. Another key reason for the John Paul acquisition relates to Bazin’s conviction that for legacy companies to be around in the next 10 years, they must think client first. The hotel industry, however, has put brand and product first, he charged, alluding to a ‘we build, they come’ mentality. But clients’ needs are changing faster and they demand more surprises from the hospitality industry all the time, he pointed out. Bazin said he was going “more and more into data analytics” when asked what his next move would be. “I don’t know (if we’ll buy a data-mining company) but we are spending more and more time with software companies, which is what companies like Visa and Mastercard are doing. “Accor has 200 million clients in 95 countries. My data is very different from IHG, Marriott, Hyatt, etc. Theirs is 80% U.S.-centric. My data is 99% non-U.S.,” Bazin continued. “Why is that significant? Because with my data, I have people with different cultures and needs. Those in Thailand are different from Greece, different from Brazil, etc. So how do I use data on clients to invent new businesses? The launch of Jo&Joe is a testbed of outside to inside thinking Bazin is driving at Accor, as well as an experiment on incorporating townsters (locals) with tripsters (foreign guests). A townster who is having such a good evening at a Jo&Joe, for example, could decide to stay the night as he could get a bed for 20-25 euros. “Did I believe three years ago we would launch Jo&Joe? No,” Bazin said. “I’d even be more honest. All that we have done in the last 12 months, all the acquisitions – Fairmont/Raffles, OneFineStay, etc. – not more than half of these were in my mind. Which shows how fast you need to adapt. Bazin said large legacy companies, too, can disrupt the market if their organizations are flatter, if they change their cultures to think differently and dare to take risks, and if they give autonomy to millennials.